It’s almost St. Patrick’s Day and time to celebrate all things Irish! 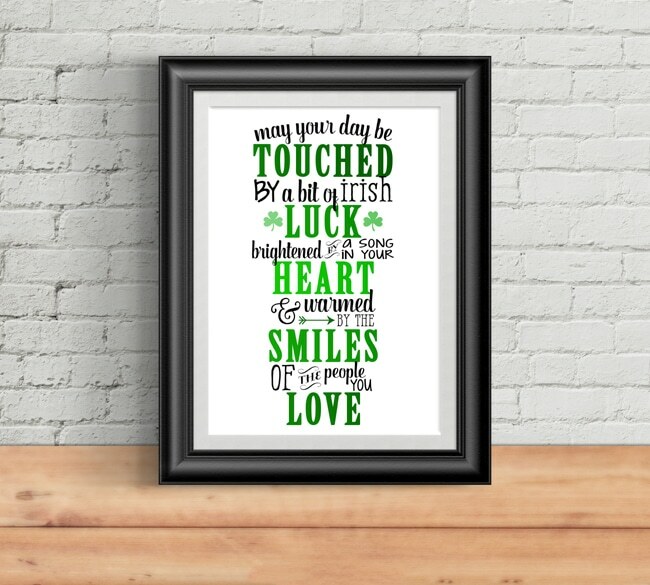 To kick off the festivities, Pretty My Party is offering readers this Free Irish Blessing Printable Art to place in a nice frame in your home, on your fire place mantel or on the wall to keep all year long! This free printable, designed by Painting Paris Pink is the perfect thing to start getting your home festive for St. Patrick’s Day! 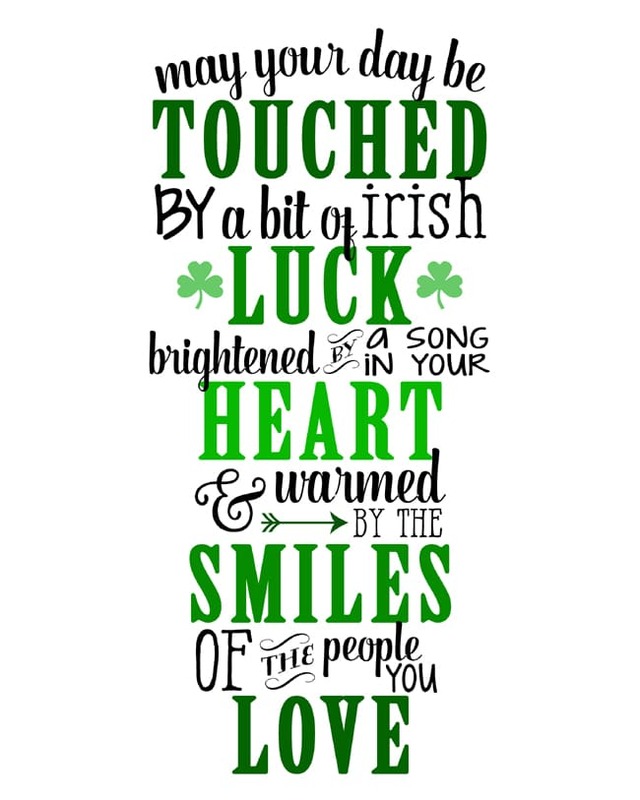 Show off your Irish pride with this cute printable art. Do you decorate your home for St. Patrick’s Day? We would love to know in the comments below! 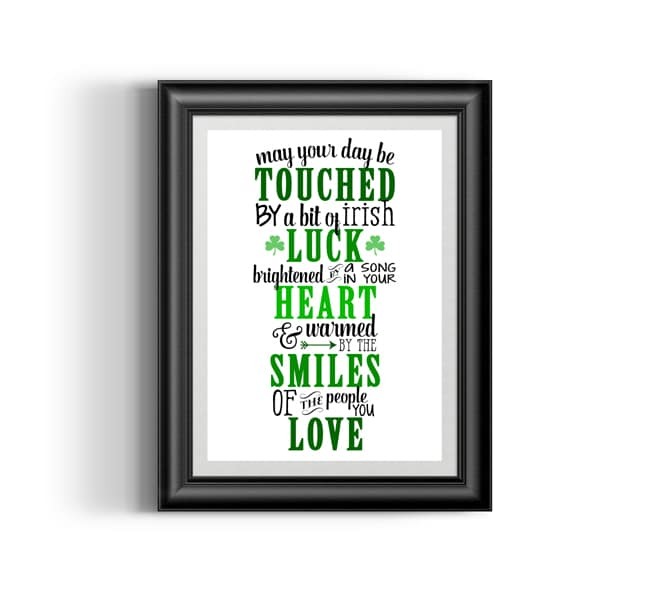 Show us how you decorate your home with this free Irish blessing printable art! Tag @prettymyparty and @paintingparispink with the hashtag #prettymyparty on Instagram for a chance to be featured on our IG! Shannon of Painting Paris Pink is our graphic artist contributor. She designs fun free printables for our readers. She has been a United States Coast Guard wife for 15 years and is the mother of 2 daughters. She is an HGTV addict, DIY enthusiast, a bit of a perfectionist, and loves all things chocolate! Painting Paris Pink specializes in printable party designs, fun party supplies, melamine dinnerware & personalized gifts. The idea is to create custom, personalized, one-of-a-kind party décor & designs for an event worth remembering.